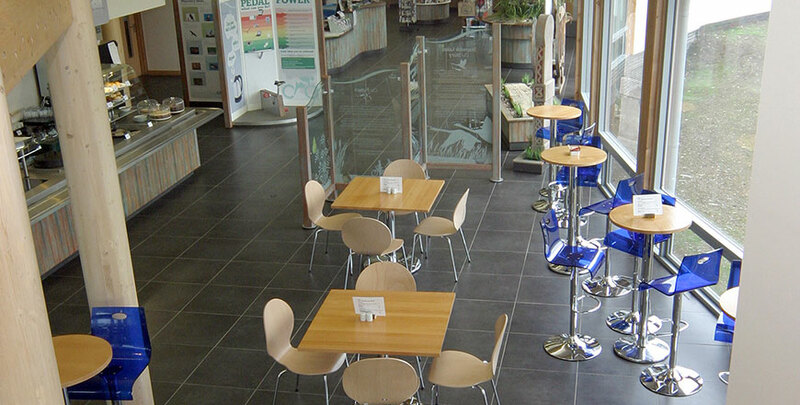 Cafe Solar in the visitor centre has wonderful views over the lake from the huge glass windows. 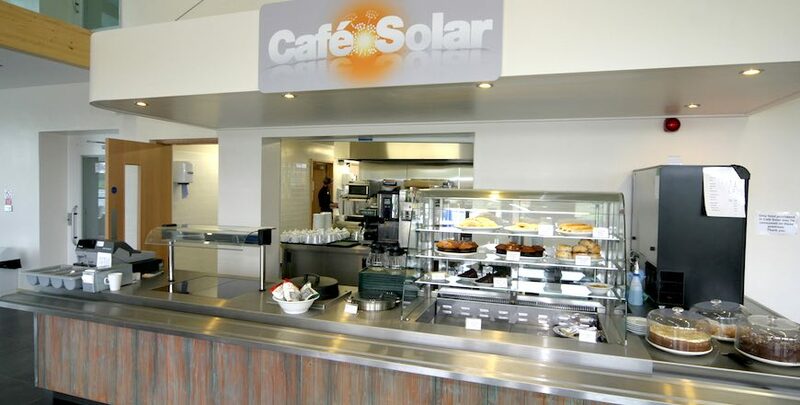 It serves a full range of hot and cold drinks, sandwiches, paninis, cakes and light meals, including jacket potatoes, soup and a daily special, every day (from 10am to 4.45pm March to October and 10am – 3.45pm November to February). The Hideaway indoor play area, with its large viewing window, provides parents with the opportunity to have a relaxing drink whilst watching young children play. The Skyloft Coffee Lounge is situated on the mezzanine. It has comfy seating and heritage displays, including the Roman mosaic discovered at Stanwick Lakes during excavations of the site. It has spectacular views and provides a quieter area for those wishing to enjoy a more peaceful refreshment break. In addition to the indoor café, an outside terrace overlooking the lake provides seating for alfresco dining. Dogs are welcome on the outside terrace which is accessed via a gate by the grass. Hot drinks bought in the café can be served in a disposable cup for take-away and most food items can also be prepared as a take-away option. Ice creams, hot and cold drinks and snacks are sold outside in the kiosk (weather dependent) which also has its own outside seating area. During peak periods an ice-cream van will be in the car park. Please be aware that we do not allow visitors to consume their own food and drink within the Visitor Centre. For health and safety reasons, due to space constraints, we cannot allow bikes, scooters or ride-on toys to be brought into the Visitor Centre. These should be left in the designated cycle parking area, just outside the main entrance. They may not be left in the lobby areas or outside the entrance doors. If left here we will move them to keep our visitors safe and cannot be responsible for loss or damage. It may be possible to hire a chain to secure such items. Please ask at Reception if you require any further information.